I’ve been very proud of myself lately, eating healthy, juicing, no meat/chicken/pork, and really trying to cut back on all the carbs…. I ate a 1/4 of the loaf about 5 minutes this loaf of bread came out of the oven. 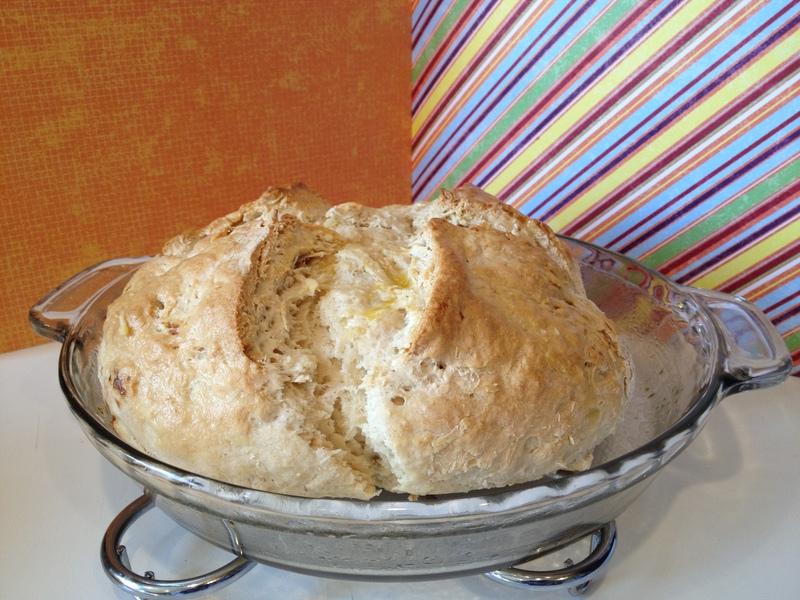 This Irish Soda Bread was SOOOOO good! I was in heaven, and SO easy to make, almost silly at the ease…. Go over and see Carla @ Chocolate Moosey & Cathleen @ My Culinary Mission as they are this months host, and they’ll have the recipe and baking instructions. 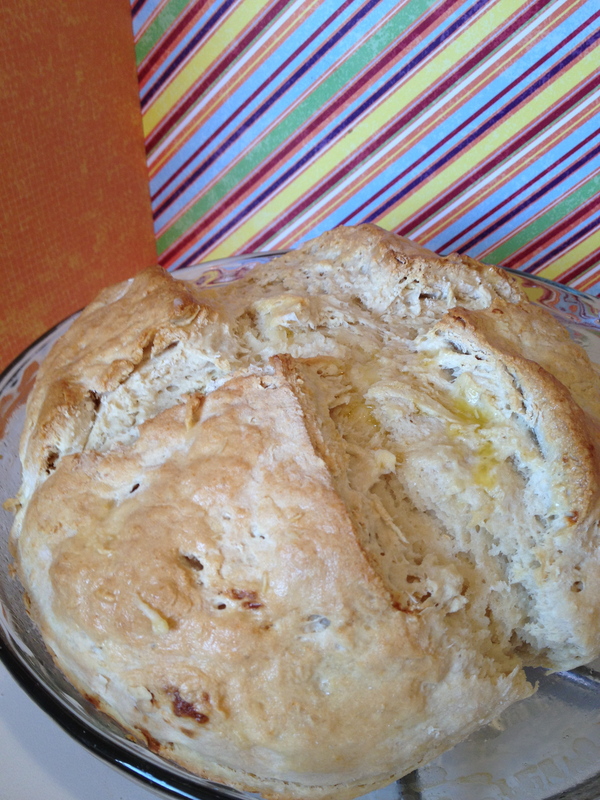 Categories: 2012, Baking, Bread, Mar 2012, Tuesdays With Dorie | Tags: bread, Irish Soda Bread, Mar 2012, Tuesdays With Dorie, TWD | Permalink. Dangerously good! Your loaf is beautiful. I know, I too had eaten quite a bit of this bread at first without even thinking about it. There is something about good bread…. Your loaf looks great. Love the ease of making it. This bread really is that good. Yours looks lovely. Naturally quick, easy and delicious is always worth a little extra time at the gym in my opinion! This bread was so good and so easy! Yours looks great! Your bread looks great. They may be carbs, but at least it’s low fat. Unlike our next Pizza Rustica recipe. Also, happy birthday (a little late. )!